Wow! The last review for 2012-can you believe in less than 12 hours it will be 2013? Nope, me neither. However, to bring in the new year, I have a great product to share with you all. 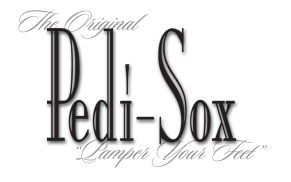 Pedi-Sox, the way to pamper your feet. I received a couple pairs of Pedi-Sox, and a tube of their Luxury Foot Cream. I have to be honest, and my feet are really one thing I don't spend much time on. In fact, I used to spend no time on them, and you could tell! Cracked heels, dry and chapped skin...it was pretty ugly. When I realized how bad they were, it was just a short time later when I discovered Pedi-Sox, and received the products for review. Pedi-Sox are a unique toeless sock, which make it the perfect choice for pedicures. These make getting a pedicure easy, because you don't have to wait for your toenails to dry before putting socks on. Your feet stay warm and cozy (even in cold weather), and you don't end up with dust all over your freshly-painted nails. More than an aid for perfect pedicures though, they also help with healthy feet! How? I'm glad you asked! I have been applying a thick layer of the Luxury Foot Cream every morning and evening, and then slipping on a pair of Pedi-Sox. This not only aids the absorption and moisturizing affect of the creme, but keeps my feet clean and warm! It's perfect for this weather! This is the same heel, after a few weeks of Pedi-Sox Luxury Cream use. Pedi-Sox are available in many fun colors and prints, as well as different materials. Check them out and start pampering your feet today! 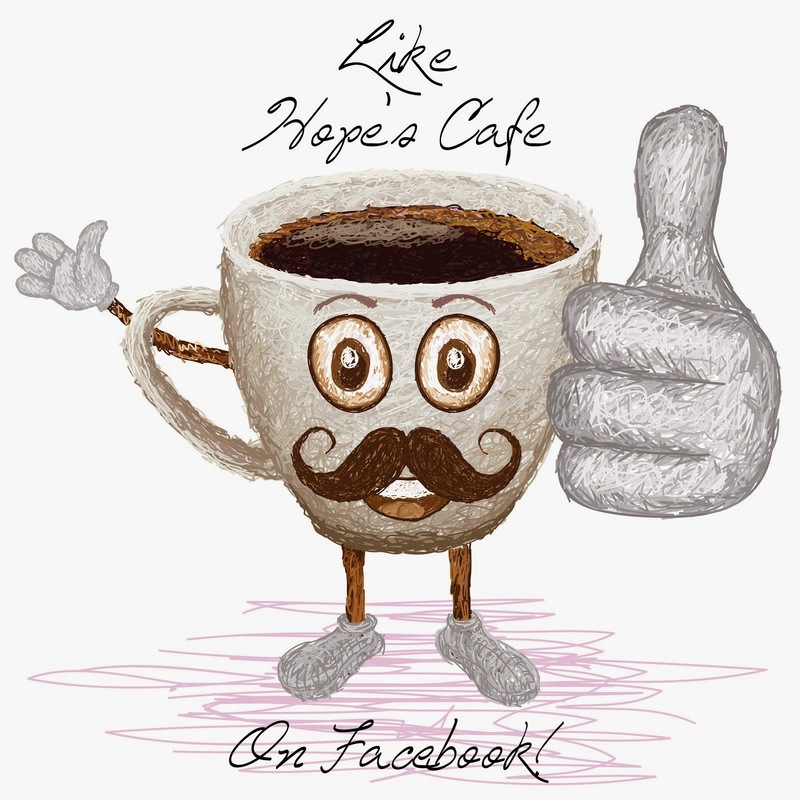 Pedi-Sox sent a couple extra sets for my readers, so here's the last giveaway of 2012 on Hope's Cafe!! and tube of Luxury Foot Cream!! Here is a great way to easily add some entertainment to your life-the D-Link MovieNite Plus! This is a streaming video player that connects to your tv via HDMI or A/V cable. It's soo easy to set up, and in no time at all you're ready to start watching or listening to your favorite media! I received the MovieNite Plus for review, and was very excited to try it out. I hooked it up to our monitor with a standard A/V cable, but you can also use an HDMI cord for full HD. I was pretty impressed with the small size of this player; we currently have so many devices connected to the monitor (dvd player, vhs player, wii, sound bar...you get the point) that I didn't need one more item to take up room. 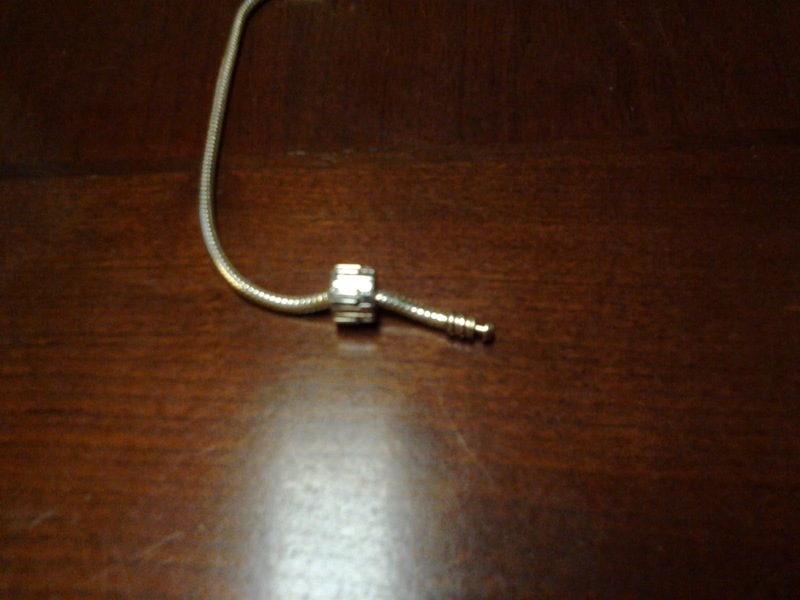 However, this is so small you can fit it anywhere without any trouble. The picture quality is crystal clear with the MovieNite Plus, and that wasn't even using the HDMI cable! Volume is nice and crisp, and there's not the muffling or glitching you might expect when streaming video/music to your tv. Overall, I am very impressed with the MovieNite Plus, and would recommend it to anyone looking for an easy way to stream media to their tv! Disclaimer: I was not monetarily compensated in any way for this review; I did receive product for the purpose of review. All thoughts and opinions are mine; all quotes taken from the D-Link website. I was not required to post favorably about the product or company. So, any of my readers still rushing around doing that last-minute holiday shopping? If you are, you'll need to take a break for lunch, and I have great news for you. Right now, you can score a coupon for a Wendy's Kids Meal for only $1.99! And, keep an eye out for your $10.00 Toys "R" Us coupon inside the kids meal bag! This would be perfect to finish up your gift shopping, because Toys "R" Us has so many awesome toys and games! You can print your kids meal coupon here. M also enjoyed her kids meal, which you can now make a healthier meal. Instead of fries, you can opt for apple slices, and if you prefer your kids stay away from soda, they can enjoy a milk, chocolate milk or juice box. Since this was a treat I let M get fries and a soft drink. Needless to say, she enjoyed this special treat! Make sure to print off this coupon for a $1.99 kids meal, and look for the $10.00 gift card offer in the bag! It seems that around the holidays every year, many people start thinking of how they can help others. I know a lot of the season revolves around getting and giving gifts, but I think there are many who, for some reason, realize that they have been blessed, and start looking around for how they can pass those blessings on to others. One area that is very important to me is helping veterans. With a Dad and Grandfather who both served in the US Military (my Dad was actually in 2 branches; Air Force and Army), as well as a multitude of friends who either actively serve, or have retired from the military, I love hearing and learning about organizations that help veterans. That's why I was excited to learn about Vets Vehicles, a really great way to give back to the men and women who gave so selflessly and freely to defend our country. Vets Vehicles is a unique service that accepts just about any car or vehicle for donation. Even if the car doesn't run, they'll likely accept it. And it doesn't have to be a car either; they'll take motorcycles, RV's, boats, and farm equipment. Each donation supports the veterans groups on Vets Vehicles list. These include AMVETS and Special Operations Warriors Foundation. Unlike many vehicle donation companies that may end up taking more money than gets passed on to the charities they "support", Vets Vehicles sends all the money from donations directly to the charities! That is the kind of group I like to work with in donations, because knowing that the money will get used to help people, is what really matters. So, while looking around you for a way to help others this holiday season, why not consider donating a vehicle to Vets Vehicles? Or, if you don't have the ability to do something that big, please look around-there is always a way to help a veteran, even with a simple a gesture like inviting them over for a holiday dinner, or just a heartfelt thank-you! However, if you do want to look into the possibility of donating a car to Vets Vehicles, yo can find all the answers to your questions on their website. Hey, if you're still frantically searching for those last-minute gifts, I have a wonderful idea for you. This isn't something you'll have to pay an arm and a leg for super-fast shipping and delivery before Christmas. I'm talking about photo gifts that are ready the same day! And all done at your local Wal-Mart store, designed in the store on a super-neat kiosk, powered by HP! I was able to try out a few of the HP photo gifts, and wow was I surprised. I had no idea you could design and order all the different photo products at Wal-Mart, and have them in your hands the same day. I went in to design a photo book and an 8x10 mounted photo, and was impressed with how easy the process was. You can upload photos from a thumb drive, various memory cards, or pull them from the internet. After getting your pictures put onto the kiosk, you can create the photo item of your choice. For the photo book, I was able to choose a design theme, pick how many pictures I wanted per page, edit or crop any pictures, and personalize the book however I wanted. It was very easy, and in less than 20 minutes I had my photo book designed and ordered. This is the mounted photo-I love the stunning colors! The other product I was able to create for my review was a 16x20 Premium Canvas. This one actually took a little bit longer than the same-day turn around, because our Wal-Mart was so packed with orders. I literally had to stand in line for 20 minutes waiting for a kiosk to open up-and we have 3 of them at our store! There was a line behind me also waiting, so I understand it taking an extra day for the canvas to be ready. 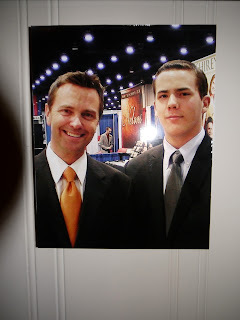 And, after seeing how nicely it turned out, I am convinced that a photo gift from HP is the perfect gift idea! You really can't beat it! Check your local Wal-Mart today and see all the different photo gifts they have available. Very reasonable prices, and super-fast service guarantee you'll have your gift in time for the holidays! Disclaimer: I was not monetarily compensated in any way for this review; I did receive product for the purpose of review. All thoughts and opinions are mine; all quotes taken from the HP website. I was not required to post favorably about the product or company. Marketing is a very important part of running a business or company. If you don't get word out about your products or services, then you won't have any customers. It is as simple as that. And, where flyers placed around town, taking an ad out in the newspaper, or billboards along the highway used to be the biggest forms of marketing, the internet has brought in a whole new form of marketing. 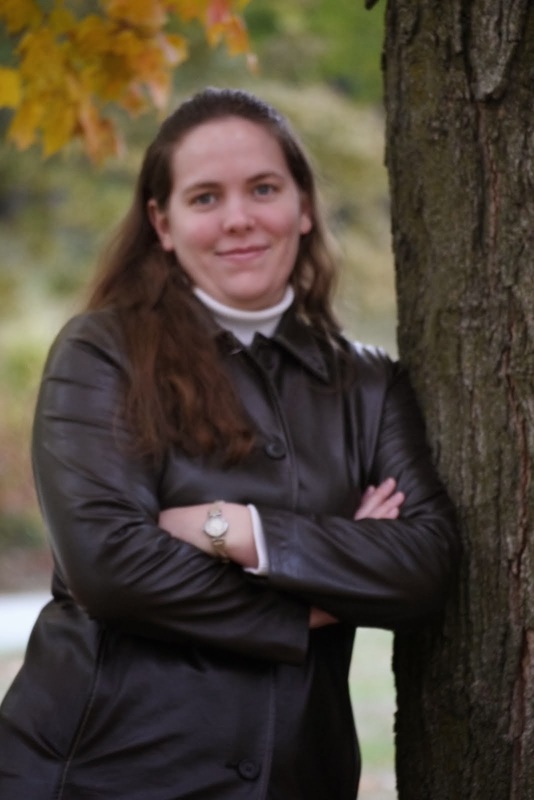 One of the biggest is through email marketing, and that's how I learned about madmimi.com, who specializes in email marketing. At first thought, you may assume email marketing doesn't work. After all, it's like a commercial on tv, or that huge billboard you pass every day on the interstate, right? Well, I am not going to speak for the majority of people, but I know there are many times I have made purchases, visited a restaurant or attraction, or used a service after receiving an email in my inbox! I have learned even with something as small, overall, as running my blog, that email marketing does work. And, in turn, I know it works for other people, because there are numerous times where I have opened an email from a blog that I follow, found an article or post that interested me, and clicked through to finish reading. And, by the same token, email marketing works on a larger scale for businesses and companies. How many times have you received an email about a sale, or received a special discount code in your email for your favorite store, and immediately gone shopping? Yep, I'm right there with you! Another biggie for me is getting news, updates and coupons from restaurants and cafes in my email. I am signed up for just about every restaurant e-newsletter possible, and I love getting those coupons every so often! Leave a comment and let me know if you think email marketing works. Are you one of those people (like me) who ends up shopping or visiting a favorite eatery after getting an email from them? Or do you just ignore all the advertising emails you receive? This is a sponsored post; however all thoughts and opinions are mine. As you have probably figured out if you've spent any time on my blog, I spend quite a bit of time on it. 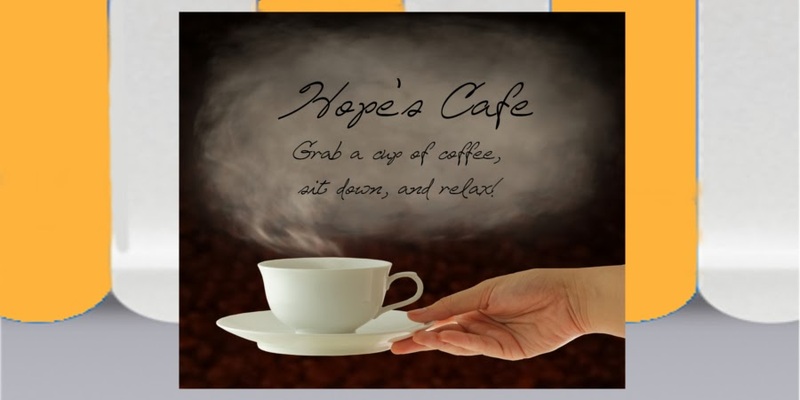 When I started Hope's Cafe, I didn't realize it would go from being a fun "hobby" to something that takes at least a couple hours a day of work. Between writing companies, publishing reviews, and keeping up with giveaway winners, it requires more time than I ever imagined! Still, I am having a lot of fun with it, so I don't regret it at all. One thing that has changed though, is the fact that I am now a firm believer in the value of a good chair! 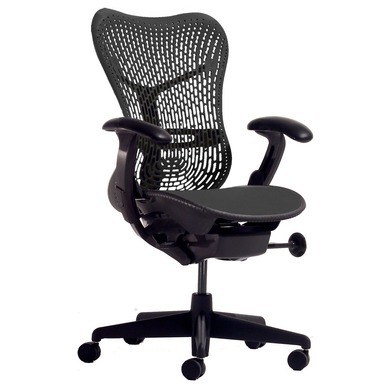 For example, look at this Mirra office chair. Now that is what I call a good chair! The first thing I noticed was the seat, which distributes your weight evenly when you sit, providing you with a comfortable and healthy sitting position. You may be wondering just why an office chair is so important, but if you spend any amount of time sitting at a desk, a computer, or at some other job, then you are well aware of the benefits! When I started out with computer work quite a few years ago, designing a website for a friend, I had no idea how much time and work it would take. I'm talking hours of working with html code (this was back before web design programs became easily available), uploading pictures and video, and trying to get everything just right. About halfway through that "job", I realized that a basic chair was not going to cut it! Now, while I don't have what I consider the perfect office chair, it is better-and much more comfortable to sit in-than what I used in the past. A padded seat is a must-have, and something that encourages proper posture when sitting. Arm rests aren't necessary, but they are nice to have when I want to just sit back and relax for a few minutes! After years of working from a chair, I can say with certainty that if you have a good chair, your work will be much easier than if you just use whatever chairs are on hand. This is a sponsored post; however all thoughts and opinions are my own. Earn Toy Cash with Energizer Batteries!! 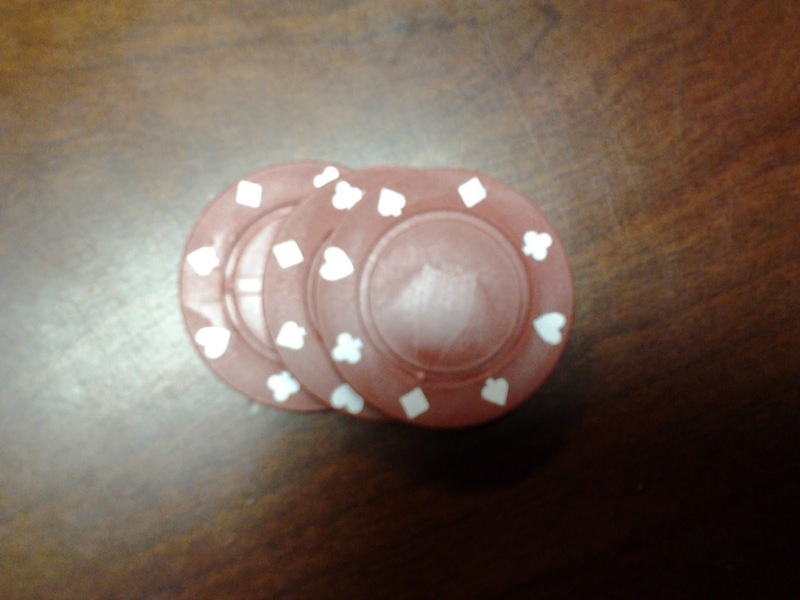 #Giveaway! Wow, can you believe how quickly this month has flown by? It seems like we were just sitting down to Thanksgiving dinner, and now Christmas is right around the corner! I'm sure you have most of your holiday shopping done, but if you're still planning on picking up a few gifts for the kids, then I have a great way to help you save as you shop! 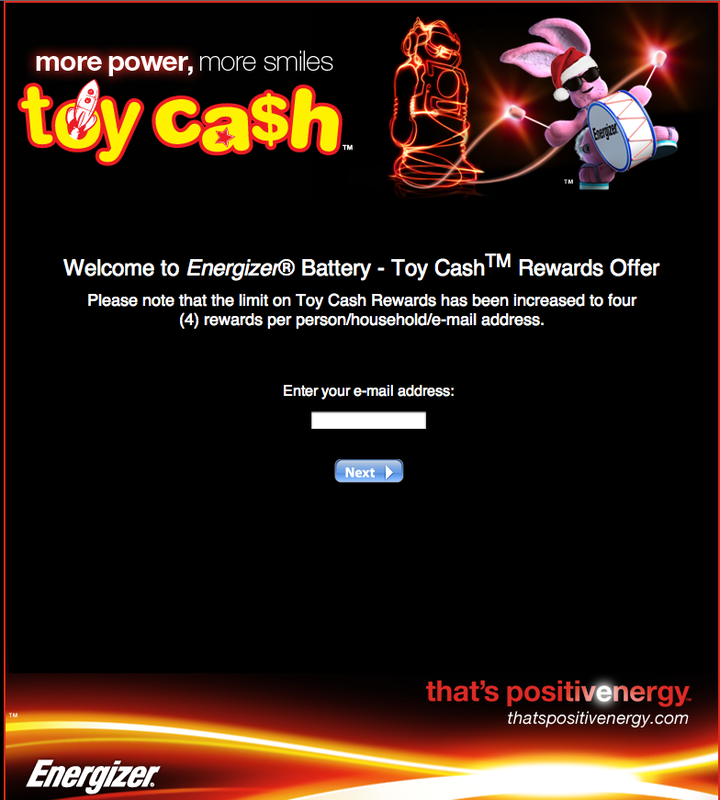 Energizer is running a great promo right now to help with holiday shopping. Look for the specially marked packages of batteries at your local department store. When you purchase 2 packages, you can redeem the codes (found inside on a little tag) online, and Energizer will credit $4.00 to your Paypal account, or send you a $4.00 pre-paid MasterCard! You can redeem up to 4 rewards per family/address, so that's up to $16.00 you can earn for holiday shopping! Batteries always come in handy, so this is a really great promotion. I am always looking for batteries for our Wii remote, a flashlight, or a camera. And I love how long the Energizer batteries last, compared to other brands we have used! Okay, so I love to travel, as most of you have probably figured out by now! I especially love visiting new places...one of my dreams is to travel out of the country (I'd really love a cruise) but for right now, that's not feasible. So, instead I plan and dream about places that I could really make it to. One of these places is Martha's Vineyard/Cape Cod. I would absolutely love to visit here! Of course the first step in planning a trip is finding good lodging, so I have checked out Marthas Vineyard hotels. I'm not locked in to the idea of staying in a hotel though; I actually love tent camping and cabins, and Martha's Vineyard offers both of these options! Although I love visiting anywhere new, I do actually have a few specific reasons for wanting to visit the Cape Cod area. First of all, it seems that Martha's Vineyard offers some wonderful activities for people who enjoy the outdoors. That is definitely me, and I have enjoyed looking at all the fun offerings at Martha's Vineyard. One thing I would love to do is go on one of the whale and/or seal watching tours. That would be so awesome! There are so many different tours available, and I would love the idea of going out on a boat, enjoying the outdoors...and hopefully seeing some whales! Another reason to visit (for me at least) would be to visit the Cape Cod National Seashore. After spending many years in Florida, and enjoying sunrise beach strolls-I never get tired of it! This looks like an absolutely beautiful place that I would so love to just walk mile after mile, and enjoy the beauty. One activity the kids would enjoy is visiting the ZooQuarium, which includes a children's petting zoo. Fun and educational, it's the perfect place to bring the youngsters and adults! Of course, visiting a coastal area, I can't forget about trying some of the local fare either. I just know I would stuff myself on all kinds of seafood while visiting! Not just seafood though; I love visiting small, local bakeries and cafes to try all the different goodies. I could literally spend an entire day just visiting these places and sampling all the baked goods, coffees and teas! How about you? Have you ever visited Martha's Vineyard? If so, please tell me any must-see or must-visit places! Well, I think we have finally reached the end of the annual gift guide here! To close out the event, I'd like to share a great gift idea for men, women and children alike. Why not give that someone special a new hat from Wallaroo Hats this holiday season? Wallaroo Hats sent me 2 of their hats for review; the women's Frankie Hat in white, and the men's Outback Hat. Now, what makes these hats so unique is they're designed with sun protection in mind. Almost every Wallaroo Hat offers protection of UPF 50+. These hats are tested, and block over 97% of the sun's ultraviolet rays, which means you're protected a whole lot more than if you just slipped on the average ball cap or western hat! The Frankie Hat is a very feminine hat, yet it has an adventurous air as well. It's a classic fedora-style for women, and looks perfect in the white with black ribbon, like I received. I have to admit, I didn't really get a chance to wear this one much-as soon as M saw it, she decided it looked better on her! (I have to agree-she looks great in the Frankie!). M also enjoys the fact that she looks like a detective or private investigator when she wears the Frankie! The Outback Hat is designed for men, and, as the name suggests has an Australian flair. With a 3" wide brim, you're provided with plenty of shade, yet in a stylish way. I love the fact that the hat has a sweatband inside, so even when you're out in the sun, sweat won't be rolling down your face. This would be great for any guy who spends any amount of time outdoors, whether it's for work or play. Wallaroo Hats has many other great styles available, including some really awesome winter hats! Check them out today! Disclaimer: I was not monetarily compensated in any way for this review; I did receive product for the purpose of review. All thoughts and opinions are mine; all quotes taken from the Wallaroo Hats website. I was not required to post favorably about the product or company. Purchasing a vehicle from a used car dealer seems to be a somewhat controversial issue. I have heard the stories about someone getting burned, or getting a bad deal, but I honestly have to say we have always bought from used dealers, and have always gotten a really good vehicle. I guess it depends on where you shop, but I am a firm believer in the value of getting a used car. (By the way, if you're looking for a Used Car Dealer MA, you may want to follow this link). Our recent purchase from a used car dealer was a Ford Explorer, and it is one of the best deals-and one of the best vehicles-we've ever had. We actually have had some debate over this issue, because some of the family prefers our big ol' Chevy Suburban. Now don't get me wrong, I do like our Suburban. For family trips (with our family of 8) you can not get a better vehicle than that Suburban. Personally though, I much prefer driving my little Explorer (affectionately called SueVee. Get it? SUV? Yeah, it's kind of a family joke!). Anyways, back to the vehicle debate. I enjoy the smaller size of the SUV, both for maneuvering, for parking, and for the gas mileage we get. Especially with the price of fuel, and as much as we travel, the SUV far outdrives the Suburban on a single tank of gas! And, even with the more compact size (at least compared to a Suburban, I know an Explorer is not considered a compact car :) the SUV is still sturdy and dependable. We have never had a serious breakdown or mechanical problem with it. Yes, the normal flat tire or a light that needs replaced, but what car doesn't need that? Honestly, for the price we paid, we really got a really good deal when we purchased this Explorer. Call me strange, but I prefer the SUV over any other vehicle I've driven! I am very glad we chose to go with a used car dealer! Do you have a preference when it comes to buying a vehicle? Do you opt for a used car dealer, or are you a strict has-to-be-new buyer? Please share your thoughts! Well, I guess we have no call to complain after the nice weather we've been experiencing so far, but this week we are supposed to get hit with a pretty big winter storm. They're calling for up to 6 inches of snow, the lowest temperatures we have seen yet this season, and some pretty strong winds. Thankfully, we have already done most of our winterizing, so we are just about prepared. It isn't something I look forward to, but winterizing our plumbing is a necessity, if we don't want to be calling Roto-Rooter Plumbing every few days over the winter! Our first step was to empty all the hoses outside. We have one for the back yard, and one that runs out to our sprinkler system in the front yard. Of course, we also had to empty the actual sprinklers, so no water freezes inside. The hoses get rolled up and stored in our shed so they are ready for use again come spring. Doing this prevents any cracking or extra wear that comes from the cold weather. Another way we have prepared for the cold weather is by insulating the pipes and spigots located outside. Simply wrapping a piece of foam or other insulating material around the spigots and pipes can prevent freezing from occurring. One very important part of winterizing your plumbing, is to find any pipes located in unprotected or un-insulated areas. Maybe in your basement, attic, garage...any of these areas may contain pipes that need insulation! Use pipe sleeves (available at your local hardware store) or other insulating materials to protect these pipes. Something else that will help prevent pipes from freezing is to be sure doors and windows are kept closed at all times. Also be sure to stop up any areas that allow drafts, as even this seemingly small amount of cold air can freeze your water pipes! Because our house is old, we had to fix a couple areas that allow air to flow in underneath the door. These are just a few steps to winterizing your home. Have you winterized yet? Have any other tips or hints to help prevent frozen pipes? Please share them with us! This is a sponsored post; however all views and thoughts are my own. Hey, here's a wonderful gift idea for girls or women! It seems that charm bracelets are making a comeback, and they're even better than ever. Now you can choose your bracelet, and add beads and charms in any order, with any theme, you want. I have a charm bracelet that I am slowly adding to, and my newest addition is a lovely bead from Ohm Beads. Ohm Beads graciously allowed me to choose a bead for review, and it didn't take long for me to find exactly what I wanted. 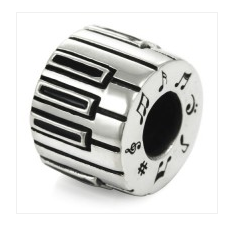 I was so happy to see the Pianist Bead they have available. Yep, remember I've been learning piano?! 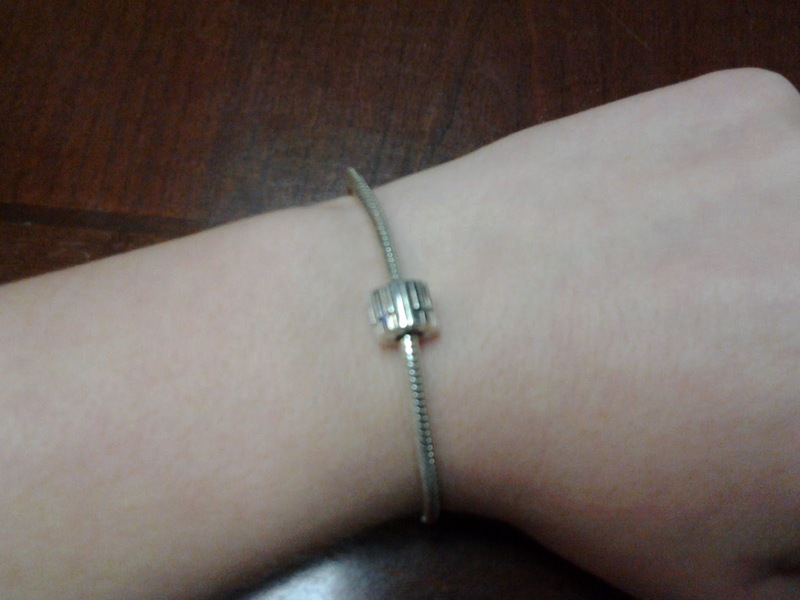 This is the perfect bead for my bracelet, because not only does it show my love for piano, it's also a constant reminder to practice! 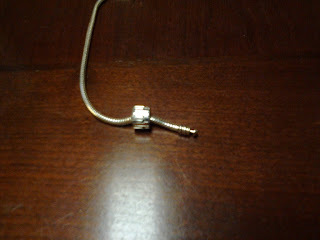 When the bead arrived, I wasted no time in adding it to my bracelet. It fits perfectly, and looks awesome! The intricate detail on this piece is simply amazing. On something this small, the fact that it is so detailed astounds me! So, if you have a little girl, a teenager, or maybe your Mom you're still frantically shopping for, be sure to visit Ohm Beads...who wouldn't want a personalized charm bracelet or necklace?! Disclaimer: I was not monetarily compensated in any way for this review; I did receive product for the purpose of review. All thoughts and opinions are mine; all quotes taken from the Ohm Beads website. I was not required to post favorably about the product or company. 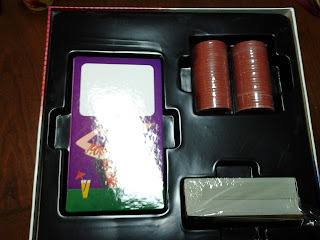 A couple years ago our family discovered a new game that became an instant favorite. Created by North Star Games, the Wits and Wagers family of games includes the original Wits and Wagers, as well as a Family Edition, and now the Party edition! 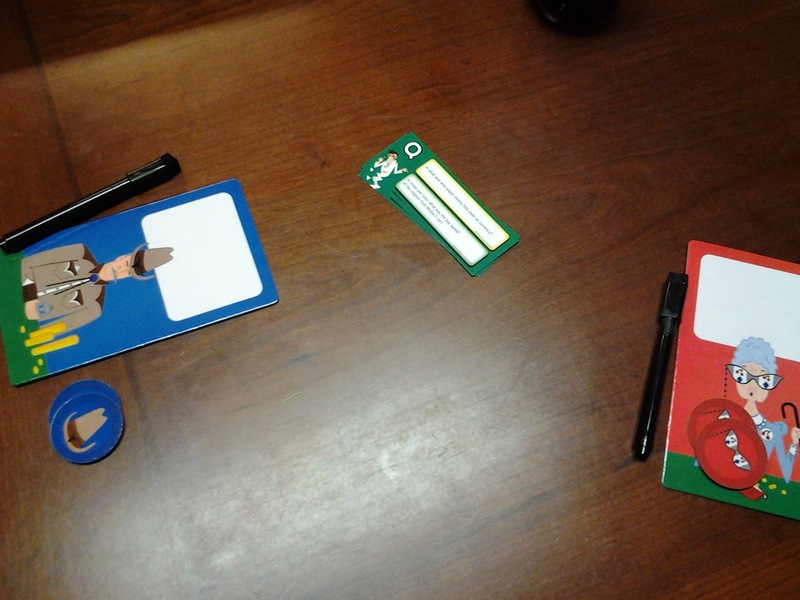 I was able to try the new Wits and Wagers Party, and it is just as much fun as the others! In case you're not familiar with Wits and Wagers, it is basically a trivia game, but with a twist. Most of the questions are not something you would know. I mean, if someone asked you what year Velcro was invented, would you know? Or how about, How many licks does it really take to get to the center of a Tootsie Pop? (252 licks, in case you're wondering!). However, that is what makes the game so fun! Everyone is on a level playing ground, because you just throw out your best guess, and whoever is closest to the correct answer, wins a point! Now, the only negative thing I have to say about this game is due to the "gambling/betting" aspect, I wouldn't recommend it for children. 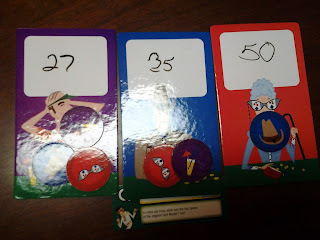 However, if this sounds like a game you want to try, but without the betting, I suggest you try the Wits and Wagers Family Edition (you can check out my review of this game here) because believe me-Wits and Wagers is an amazingly fun game!! 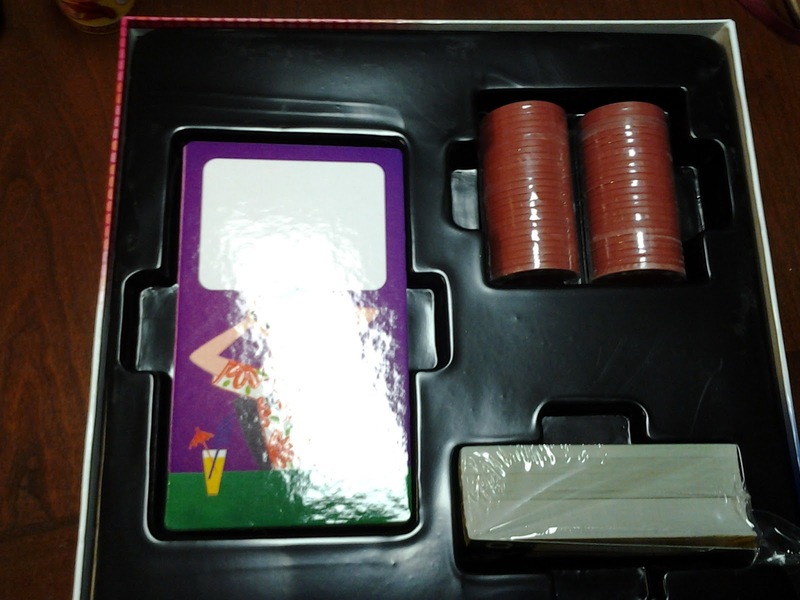 One of my readers will receive a Wits and Wagers Party!! Hey all, I'll be doing a review with this product/company in the next couple weeks, but they are running a great promo right now that I wanted to share with you all! 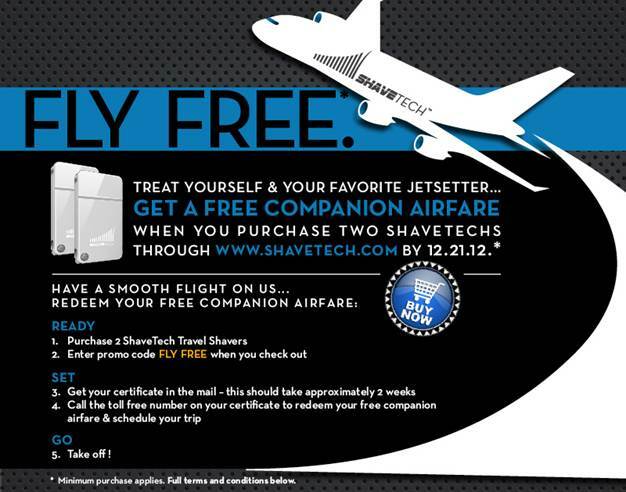 The ShaveTech is an innovative travel razor, and right now if you purchase 2 ShaveTechs, you will receive free companion airfare. The deal only runs through Dec. 21, 2012 so take advantage of the offer soon! You can find more information, or purchase your ShaveTech razors, at the ShaveTech website. Although not necessarily a gift idea, this product is definitely a holiday theme, so I had to include it in our gift guide :) Besides, a gift code to Snapfish would be the perfect gift for just about anyone!! I was able to go online and design some custom photo cards for review. There are so many themes, styles and occasions available! I love the new Year In Review cards that allow you to share your favorite photo and memories from 2012. However, I chose the Season's Greeting theme for my cards; with a text area for the family name, and 4 photos, I was able to design the perfect card. After placing my order, the cards shipped the very next day. Talk about fast service! When they arrived, I was very excited to see the finished product. As you can see, some custom photo cards from Snapfish would be perfect for holiday greetings, thank-you cards, New Year's greetings...the possibilities are endless! Disclaimer: I was not monetarily compensated in any way for this review; I did receive product for the purpose of review. All thoughts and opinions are mine; all quotes taken from the Snapfish website. I was not required to post favorably about the product or company.